We have a little something for you! What better way to start off the New Year than by giving away something wonderful? You may have noticed my brand new website design and tagline “Better Living Through Plants.” This came out of the feedback that you provided last year. I sent out a quick, little survey and was jazzed that so many of our Garden Therapy readers sent back detailed, long-answer responses on what they loved about Garden Therapy and what they wanted to see more of. You wrote and I listened! You LOVE plants and see them as a way to live a better life (me too, my friends!). 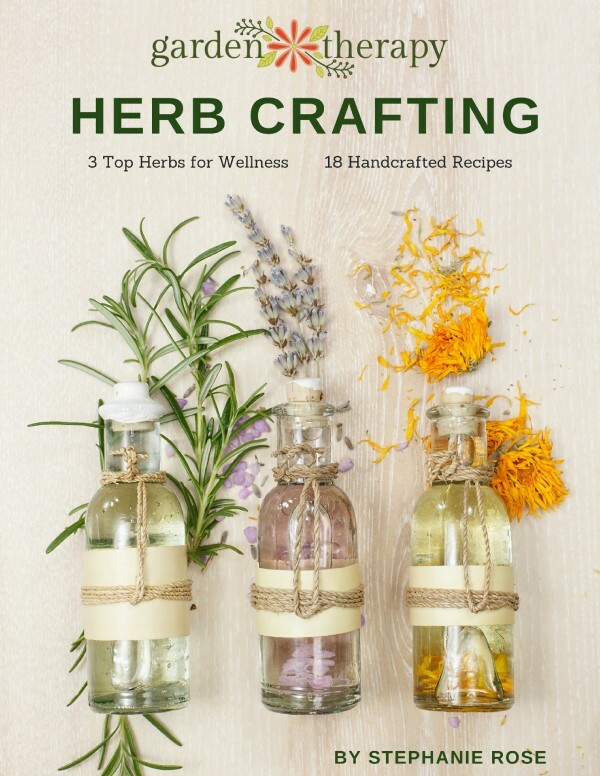 You especially love herbs and want lots of ways to use them. Herbs have such a wide variety of uses like making our food taste good, our homes smell good, and our gardens look good. They are beneficial in therapeutic applications as well. This is nothing new. Herbs have been used for their healing properties since ancient times. 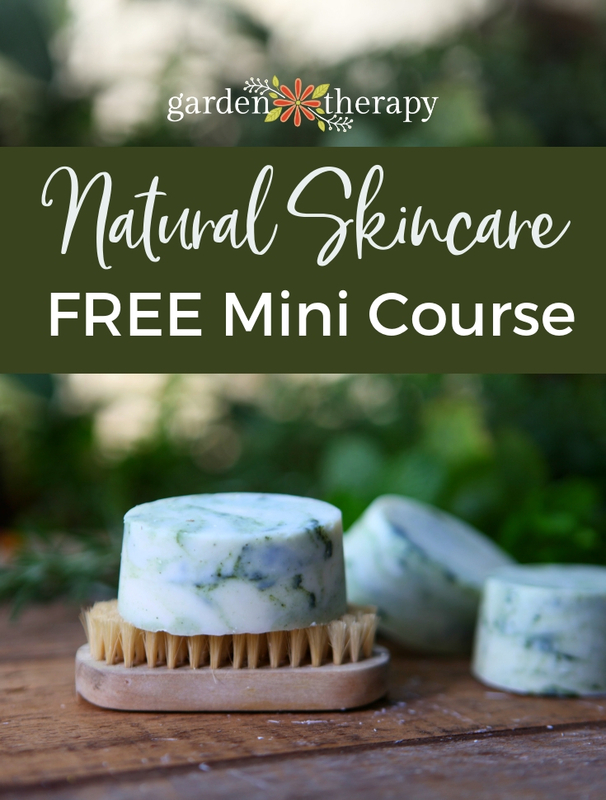 They are simple to grow and harvest from your own garden, making them a convenient herbal ingredient to start crafting with. They are also easy to buy if you don’t have the space or inclination to grow them. 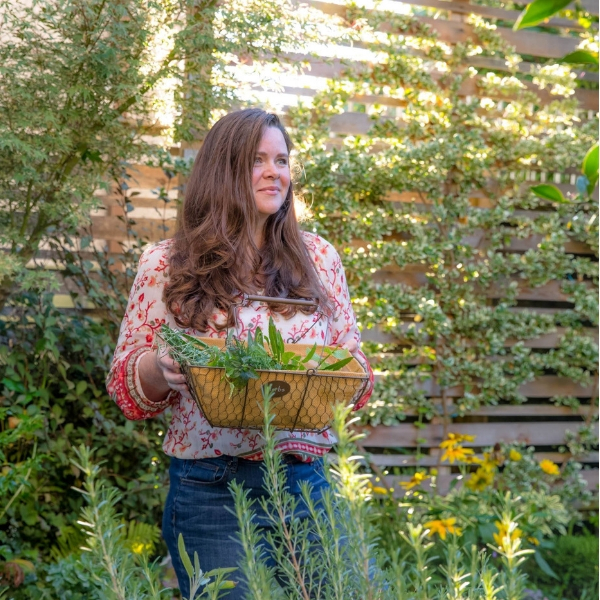 So, I wrote a little eBook to say THANK YOU to you all for being part of the Garden Therapy community. You can download the book for free here. Please note: if you are already a subscriber to Garden Therapy, just follow the instructions to sign up (even though you have already done this) and keep an eye out for the confirmation email. 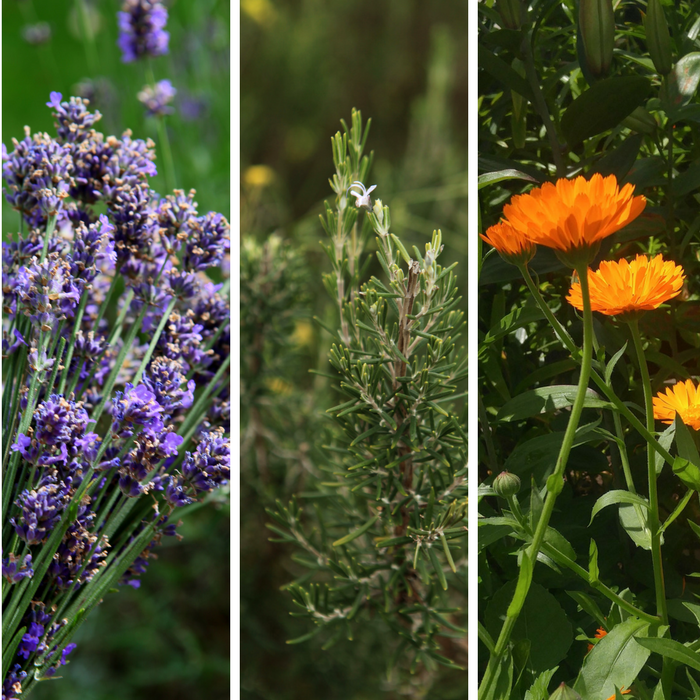 Herb Crafting has a detailed profile on three of my FAVORITE healing herbs (can you guess what they are?) and eighteen recipes for crafting with them. 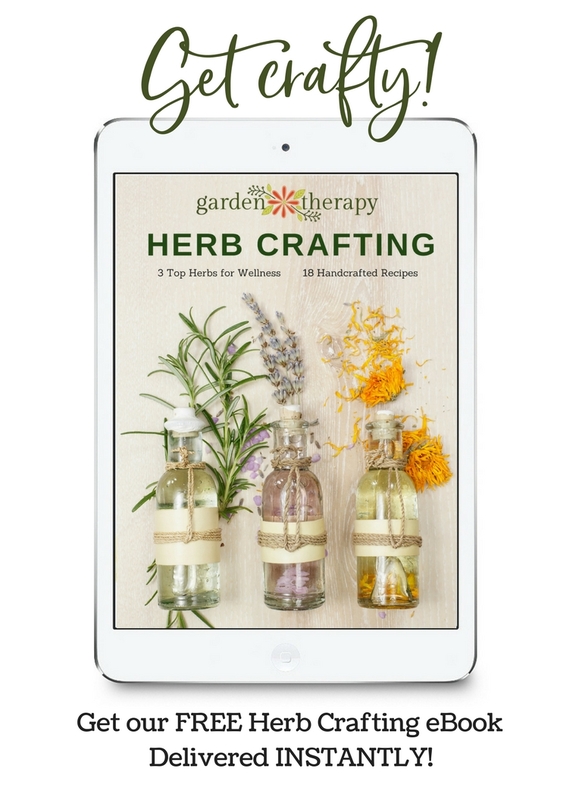 It will give you an introduction to the wellness properties of each of these herbs, as well as instructions for growing, pruning, and harvesting and a selection of diverse projects that will get you started with herb crafting. Not a gardener? No problem! You can easily buy the dried botanicals. There is a resource guide at the end of the book that will help you find what you need. This is what I really want to give the hike to my love for gardening and your blog helps me a lot in doing this. The tips provided are so helpful to keep posting new ideas. I will keep this in my bag for FUTURE HELP !!! Surely sharing it with my friends.